Sony announce details of a reality TV program, The Tester, that will feature exclusively on the PS3. Microsoft have upped their advertising budget in the United Kingdom in recent weeks in a bold attempt to ensure that their XBox 360 remains high visibility in the weeks leading up to the launch of Sony’s ground-breaking PlayStation 3. 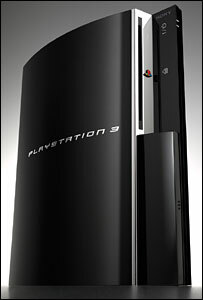 One of the UK’s biggest retailers, Argos, has officially begun taking PlayStation 3 pre-orders for the 60Gb PlayStation 3. Around one million Sony Playstation 3 consoles will land in Europe for the launch date of 23rd March 2006 – less than two months away. PS3 v The Rest: The data is in! “The six year old PlayStation 2 continues to dominate the market, outselling all other computer entertainment systems in November, including much newer systems from the competition,” Karraker said. Sony in America have insisted that the problems with manufacturing are at an end and the machine’s mass production is gaining speed. 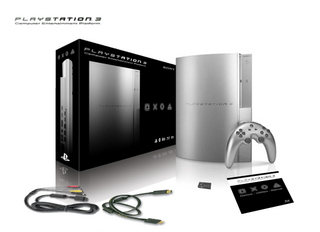 The official specifications of the Sony Playstation 3 – the most powerful next generation machine. The US will begin to see the PlayStation 3 in seven days time, when demo kiosks are due to begin arriving to some of the nation’s largest stores. Sony have reacted angrily to suggests that the Playstation 3 will be further delayed in Europe after claims were made that suggested Sony wanted to build up stocks in the US and Japan first. Sony Computer Entertainment Europe (SCEE) scooped 5 BAFTA British Academy Video Games Awards to become the most successful software developer at an event held in London last night. In a statement which would enrage even the most laid back of gamers, Sony has stated that European’s really “don’t mind” waiting when it comes to Playstation console launches.